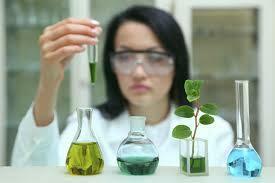 Natural medicine has been used by people of all cultures for centuries. In some regions (cultures) such as China, India or Japan where natural medicine actually thrived for thousands of years, it has become a well-documented experiential body of knowledge. As different types of grapes have been grown and used on various continents to make different types and different quality of wine, a rich variety of different species of plants and herbs have been used around the world to treat similar ailments. Modern natural medicine uses natural herbs and plants together with other natural ingredients based on principles and discipline of modern science, using testing, research, analysis, innovation and sophisticated equipment. But a "smart" modern natural medicine does not forget or deny the centuries of experiential knowledge of its grandfather - instead it learns from it, and then confirms it or rejects it based on the scientific data. So we have here a potential for a great marriage between the old and the new. AcnEase® is a child of this type of marriage. To create it, we have started with the medicinal benefits of a number of plants and herbs collected for centuries, but then we employed a serious science and pharmaceutical know-how to develop and validate a safe combination of those plants. Furthermore, we have analyzed how to use this combination of herbal ingredients to get the most efficacious regimens needed by different acne sufferers and using the same extracts, hence providing customized treatment alternatives. All herbs used in the plant-based AcnEase® formulation (Gardenia Fruit, Houttuynia, Scierotium, Dandelion, Balsam Pear, Mustard leaf, vegetable extract coating) are of the highest quality, and tested for the presence of heavy metals, residual pesticides and bioburden. Pharmacognosist approved, AcnEase is free of animal products, by-products or derivatives, gluten, sugar, milk derivatives and phytoestrogens. Read more here. Like a gourmet dish, it's not just the ingredients that make it nutritious and delicious. It's the quality of the ingredients, the ratio of ingredients, the preparation, and the training of the chef that matters. It is the same with herbal formula's. 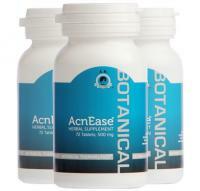 AcnEase combines the best of both, old and new, in selecting, combining, qualifying and getting the ratios just right to make an innovative and highly effective yet comfortably familiar formula that treats acne.